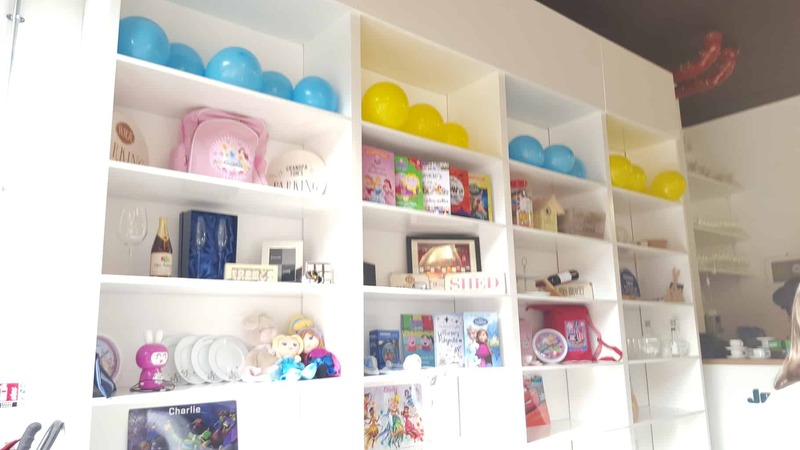 On Tuesday I was invited to a really fun event up in London with I just Love It, a website specialising in personalised gifts for everyone and anyone! They were previously known as ‘Gone digging’ and have been about for around 7 years so are not new to the market by any means, just sporting a snazzy new name! 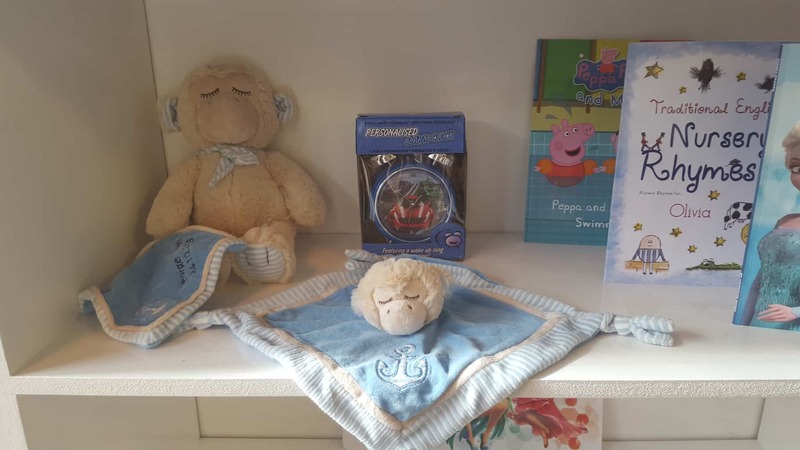 Upon arrival we got to peruse some of the range of lovely personalised gift ideas, and Arlo had a little roll around whilst I scoffed a freshly baked cookie (okay two, maybe three) and got to know Katy over a cuppa. 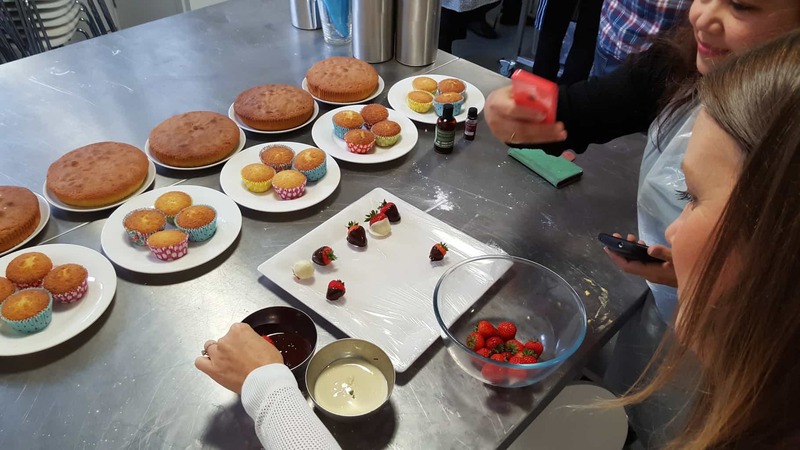 Once all the bloggers had arrived we headed through into the kitchen for a cake decorating lesson! 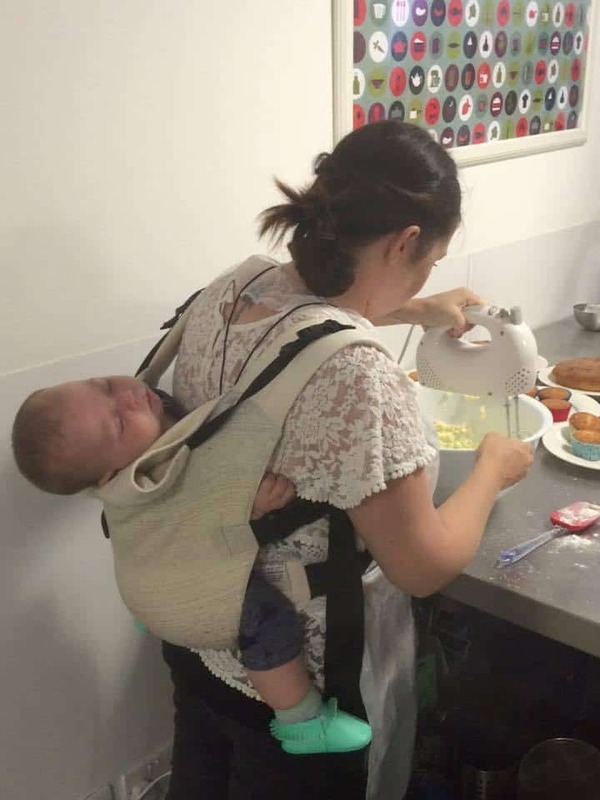 Now I am not known for my neatness or steady hand, and had Arlo in the sling on my back too but amazingly the loud roar of 8 food mixers going at once sent him to sleep and he stayed asleep for most of the rest of the lesson! 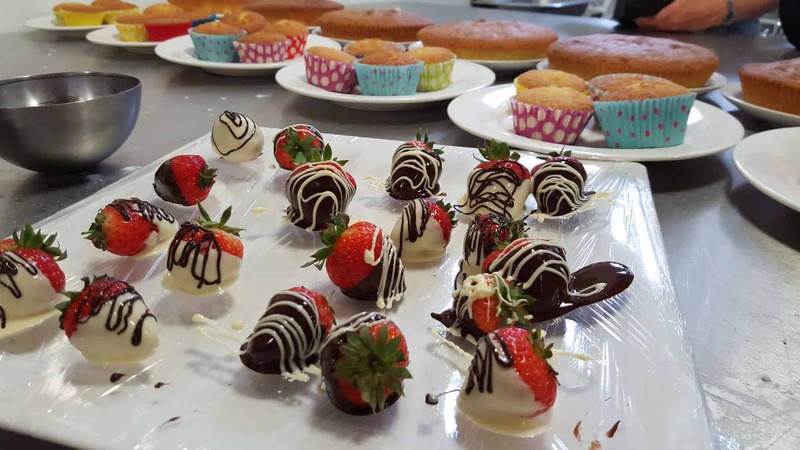 We also dipped strawberries into molten chocolate and decorated them which was good fun! I was amazed at the amount of icing sugar we had to add to the butter, I definitely don’t use the same proportion at home, which is where i’ve been going wrong all these years! Another tip I picked up was to add a splash of milk if it’s getting too stiff to mix, it will soften it up a bit! Oh, and never to put it in the fridge or it will go rock hard and become unusable! 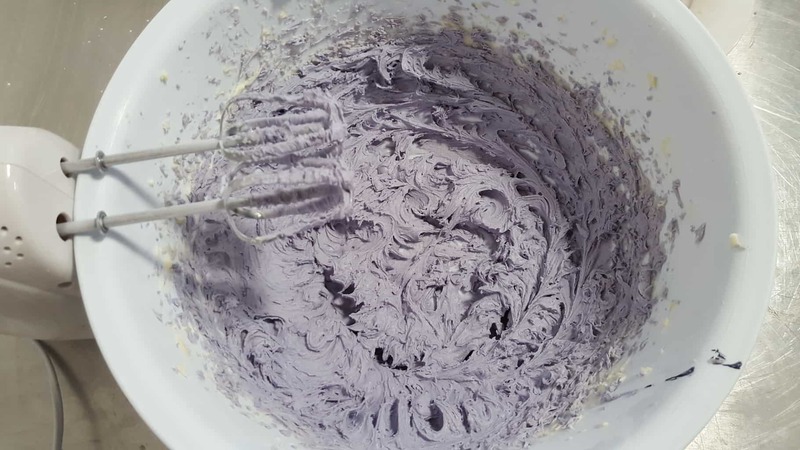 I added a splash of hazelnut flavouring, then a bit of a bigger splash of vanilla bourbon flavouring and mixed it all up with some lilac dye! 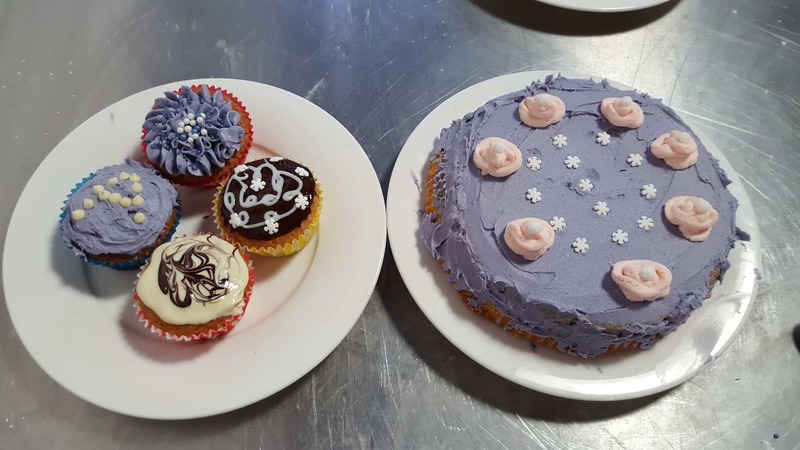 The other ladies on my table made different colours and flavourings with their icing and then we got stuck in decorating our cupcakes and a bigger cake! I was quite pleased with one of my cupcakes, the other three were a bit sloppy! I’m blaming Arlo waking up and kicking me in the thighs for the complete lack of originality and neatness of the larger cake, and the fact that most of the sprinkles and decorations had been used up too! I tell you what though, lilac hazelnut/bourbon flavoured icing tasted pretty delicious! There was a competition for the most impressively decorated cupcake, needless to say I didn’t win but Katy did a lovely christmas tree one which looked and probably tasted amazing so her bottle of bubble was well deserved! Some of the items out for display were just lovely, definitely something for even the most difficult to buy for of friends and family! 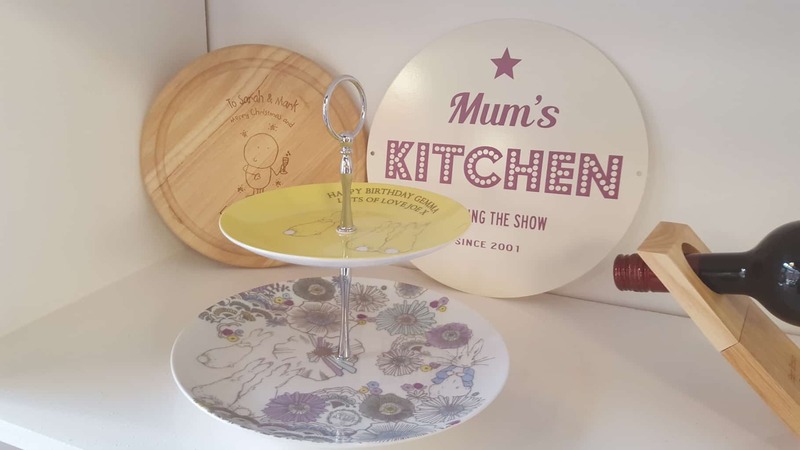 We were sent away with a lovely personalised goody bag, including a personalised rolling pin & wooden spoon which I think is a brilliant gift idea! Both my little people got a personalised book of Nursery Rhymes too! 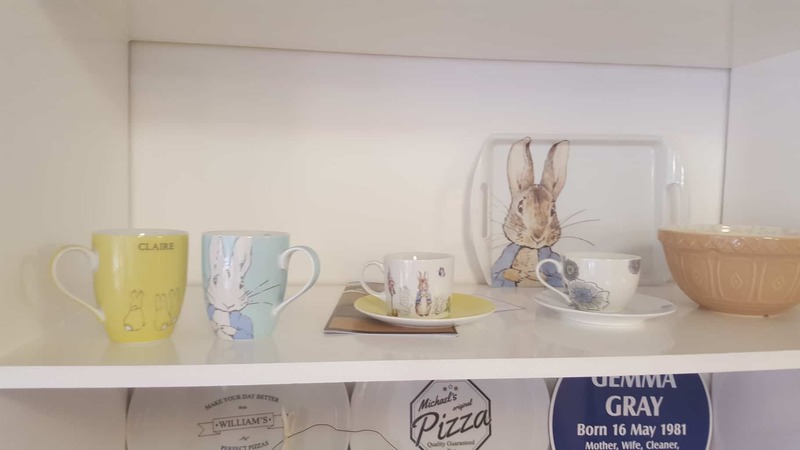 The Peter Rabbit collection is really lovely, I’ve always loved anything Beatrix Potter related and have a little dish that someone gave to my as a christening present that has lasted all these years still! 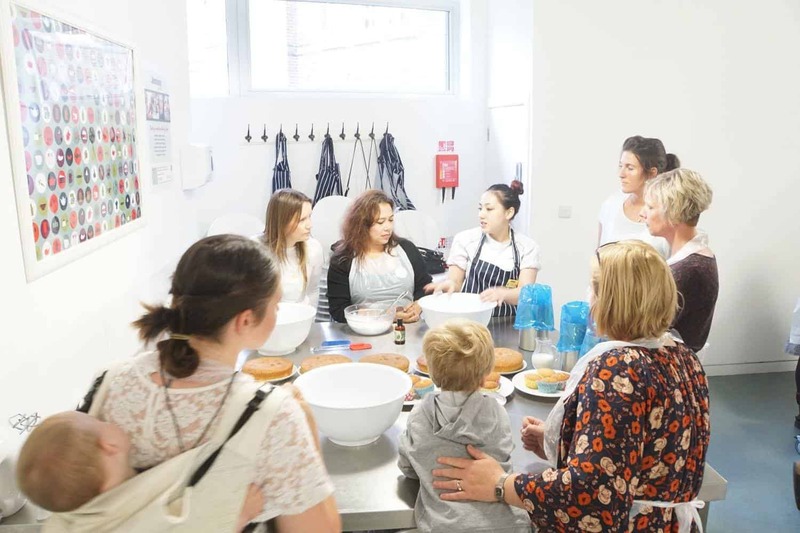 There is also a fantastic range for any budding chefs, or anyone that spends time in the kitchen really, from chopping boards to aprons and everything in between! I’ll be putting together a post in the near future of some of my favourite items from I Just Love It, but of course you can go and look for yourself, I just lost half an hour browsing! So a huge thank you to IJLI for inviting us up and plying us with tea and cake, both Arlo and I had a lovely day!